Order your BeatBuddy Two-Button Footswitch from AMS and enjoy Fast & Free Shipping. Get the Best Deal with our Lowest Price Guarantee & Great Customer Service! With the BeatBuddy footswitch, you can add accent hits, pauses, tap tempo, scroll through songs, and more - all hands-free! The BeatBuddy footswitch helps you get the most out of your BeatBuddy: it's easy to add accent hits, drum breaks (pauses), tap tempo, scroll through songs, and more, all hands-free, and with just the tap of a foot! The BeatBuddy footswitch is designed to provide you with a rock-solid performance, and can withstand heavy use at the same time. Guaranteed. And it looks almost as good as you. Almost. No hands needed. U need this if U use the beat buddy. I love it. Its very realistic. A must have for the Beat Buddy! A great compliment to an awesome piece of gear, the Beat Buddy. Great addition to the Beatbuddy! Great addition to the Beatbuddy pedal! The quality & construction is great. i have nothing to say but this machine is great great.and i enjoy every bit of it. Great product. Very solid. Makes using the BeatBuddy in real time much easier. No more reaching down to switch sets or tempo. 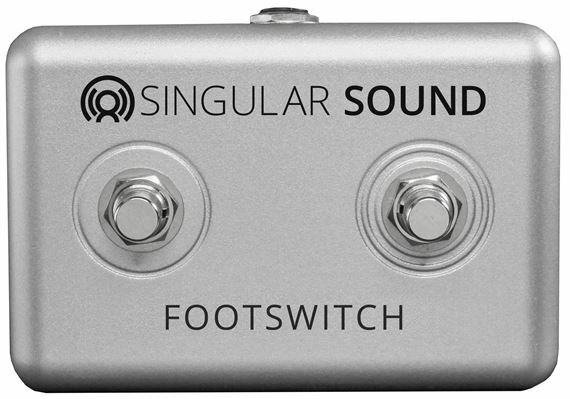 If you're buying the Beat Buddy (and you should), then you gotta buy two button foot switch! I love it mainly because it puts a high hat or various other options right at your foot. I can't imagine a Beat Buddy without the foot switch. Didn't think I would really need a foot switch for my beatbuddy until I faced a few hurdle's. Changing tempos switching drum grooves or just drum tones required me to stop playing and switch things manually. With the foot switch it's just a simple press now. A must have for a beatbuddy. Durable small and comes with its own jumper.